Jeff learned the importance of serving all families with dignity and respect at a young age while helping his father at the funeral home in Hancock, the O’Neill-Dennis Funeral Home. Jeff was born and raised in the Copper Country and graduated from Hancock Central High in 1996. He then attended the University of Wisconsin-Green Bay in Pre-Mortuary Science for 2 years and was a member of the NCAA Div. 1 swim team. Next, he attended Michigan Technological University until transferring to the University of Minnesota where he graduated in 2000 with a Bachelor of Science degree in Mortuary Science. 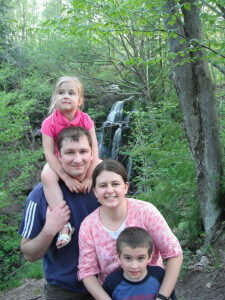 Jeff and his wife, Christine, have made their home in Lake Linden with their two children, Walter and Rose. In his free time Jeff likes to spend time at the Barkell/Dennis family cottage at Little Traverse Bay (Torch Lake Township) and model railroading. He also enjoys riding ATVs on the old railroad grades with his friends and family as well as learning about local history and railroad history. 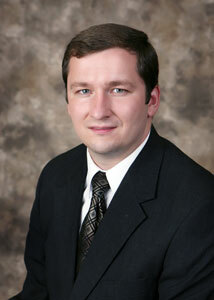 Jeff currently serves on the Lake Linden-Hubbell School Board. The Dennis Family, near Hubbell.